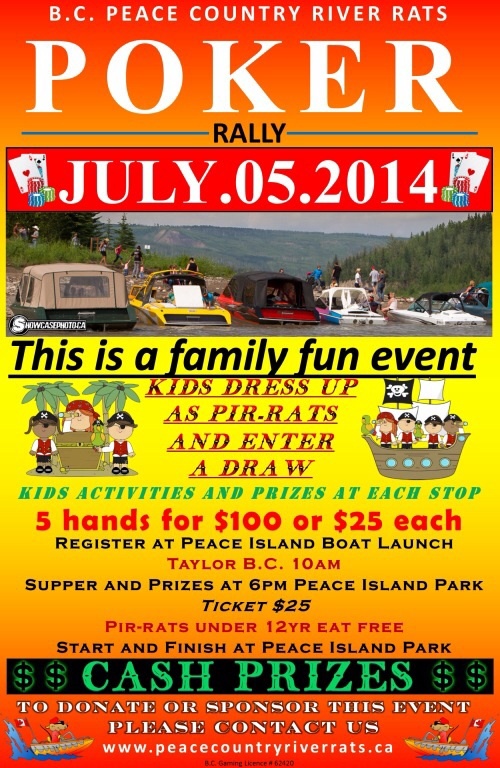 Our annual poker rally will be held on July 5, 2014. This is a FAMILY event. Lots of prizes, and lots of kids stuff! Last year was a huge success, I am sure this year will be even better! Be sure to reserve your camp sites early, as the park is getting full already. Tell them you are attending the poker rally, as there are several spots reserved for the event. You only made me learn a lot of the world has increased.